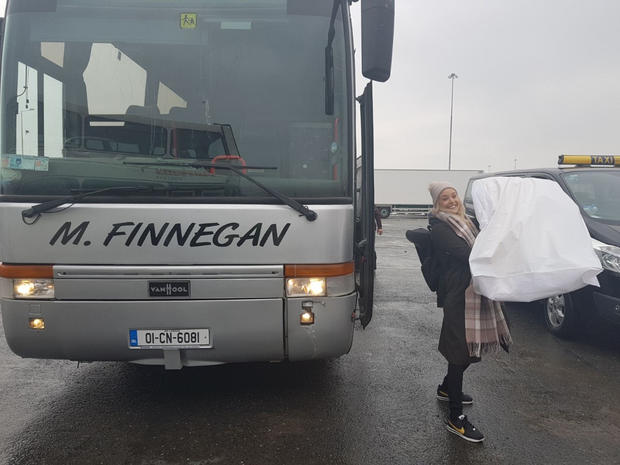 A bride and groom were forced to undertake an epic journey via planes, trains, buses and ferry to make it to their wedding in Roscommon on Saturday. 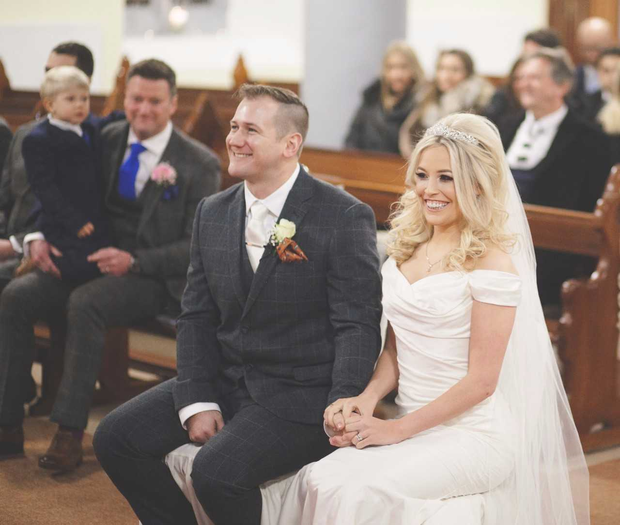 Aine Kilgannon, from Dromore West in Sligo, and her South African fiance Heath Bateman, were due to be married at the church in Aine's hometown at 3.30pm followed by a reception at the stunning Kilronan Castle in Roscommon. Living in the UK, they were scheduled to fly to Ireland separately on Wednesday and Thursday, but the arrival of Storm Emma across the UK and Ireland played havoc with their plans. "Heath, his mum and dad and his brother were all getting the plane on Wednesday from Heathrow to Knock, which was delayed four hours but they managed to get on, but then Aer Lingus said 'everyone off the plane' and then the flight was cancelled, so that was very stressful," Aine told Independent.ie on Friday. Aine was due to fly on Thursday from Heathrow to Knock, but felt they would have more luck flying from Heathrow to Shannon so they changed their flights. However, both those flights were cancelled within an hour of each other. 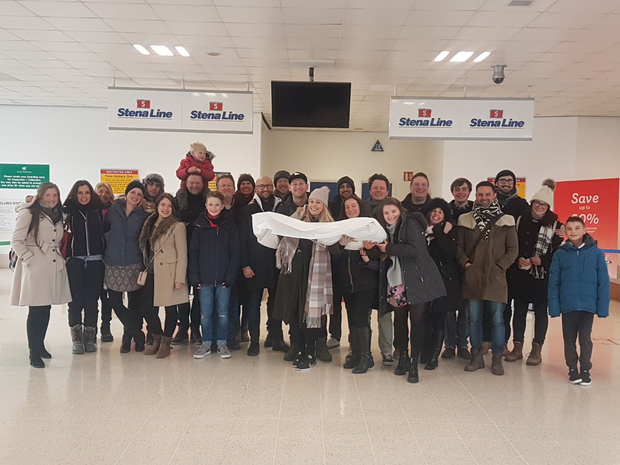 On Friday Aine, Heath and members of his family took a train to Holyhead to get the ferry with Stena line. Two hours into the four hour journey they learned that the ferry they were due to catch at 2.10pm had been cancelled. The next one, at 8pm, was then cancelled too. "I told everyone my story so the whole of Stena Line customer care knew our story at this stage!" said Aine. "We got on the boat and everyone had a drink and we prayed the 2.40am ferry would sail. In fairness Stena Line treated us like royalty. They gave us Prosecco and the captain came to see us. And they gave us a cabin per couple so we could get some sleep." Eventually the ferry departed Holyhead at 6am and a relieved Aine spoke to Independent.ie from Michael Finnegan's bus which had waited patiently for many hours for them in Dublin to transport them up to Sligo for the wedding. "It's so much easier to talk about this now that we're finally getting somewhere," admitted Aine as she sipped a well-earned glass of Prosecco. "I think our family and friends really love Heath and I because they were all willing to do a stressful 24 hour trip to get to this wedding. It's very humbling." However, there were other hurdles to overcome. Due to the delay, there was no time to get to Dromore West so the staff at Kilronan Castle organised an alternative church near the venue, at Keadue. Their priest, Father Anthony Gillespie, made the trip from Sligo to Roscommon to marry them. "God bless Kilronan Castle. They really made so much effort to accommodate us," said Aine. The staff were prepared to change the day of the wedding for the couple. When it looked like Aine and Heath were going to make it they organised food for them and their party of 30 on their arrival. Their band, Transmitter, had stayed in Enniscrone since Tuesday night to make sure they could make it to the wedding. And at the last minute Philippa Breheny hair designs stepped in and drove to the castle for their late arrival. "I'm literally getting my hair and make up done and just running up the aisle. If I was wearing no make up I'd still be going up the aisle, and I'm vain. I'm a very vain woman!" laughed Aine. On a more serious note, she added, "Not getting married was not an option, because so many members of Heath's family had travelled so far from South Africa. Unfortunately about 20 other friends and family members have been unable to make it to Roscommon. "It's very sad but at least we can say everyone tried and we'll still have a decent turnout for the wedding. It's still bittersweet though." 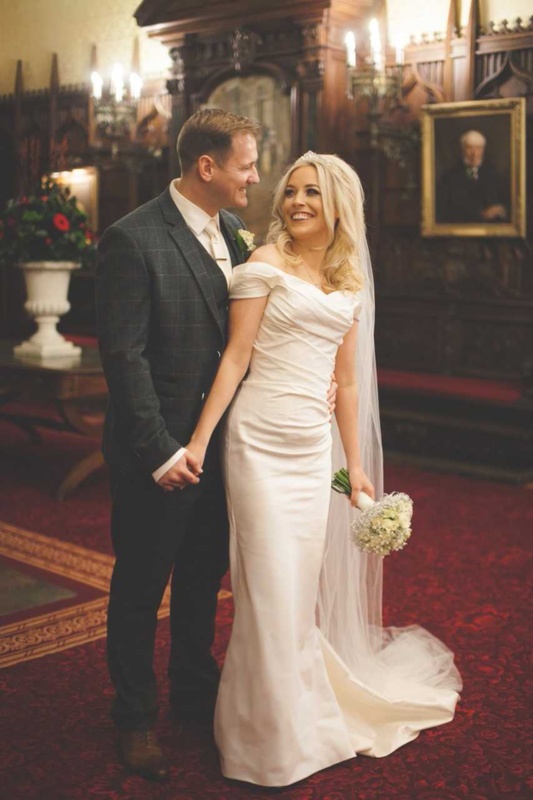 They finally made it to Kilronan Castle at 3.15pm on Saturday and Aine walked up the aisle at 6pm. "Pulling up to Kilronan to see the staff waiting with the red carpet rolled out for us made it feel real," she said the morning after the big day. "We'd made it! The relief made us all tear up. "After that though smiling and laughing started to find us again. Heath went with his groomsmen to get ready and I went with my bridesmaids. From there everything rolled by in a relative blur. Before we knew it we were being summoned for our first dance. "The combination of the stress being gone and seeing all our friends and family made it one of the most amazing, epic tales that we may ever experience. Hollywood couldn't write this!" Aine would like to thank all 30 of her friends and family who travelled 36 hours to get to the wedding, Father Gillespie who had to change church and travel, Keadue church for the last minute ceremony, Jimmy Kilgallen photography (who stayed until 1am), Philippa Breheny hair designs, singer Rosie Connolly, Transmitter, make-up artist Aisling Leydon, Philomena Davitt for the flowers, Kilronan Castle and her mammy Una Kilgannon who was "on the phone updating everyone on changes and reorganising".